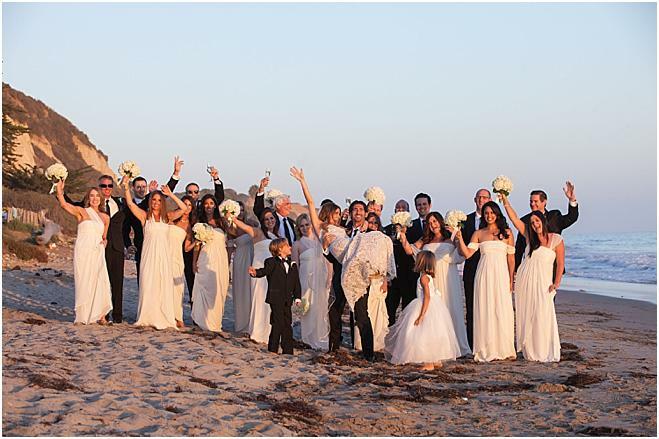 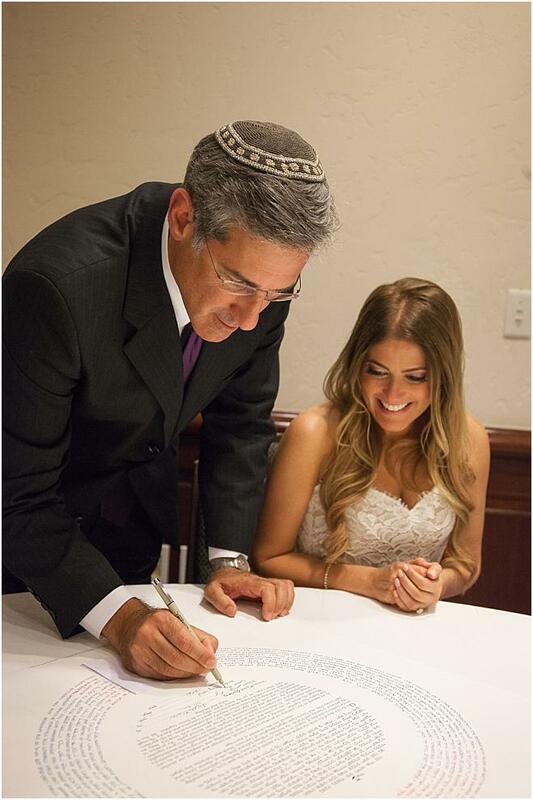 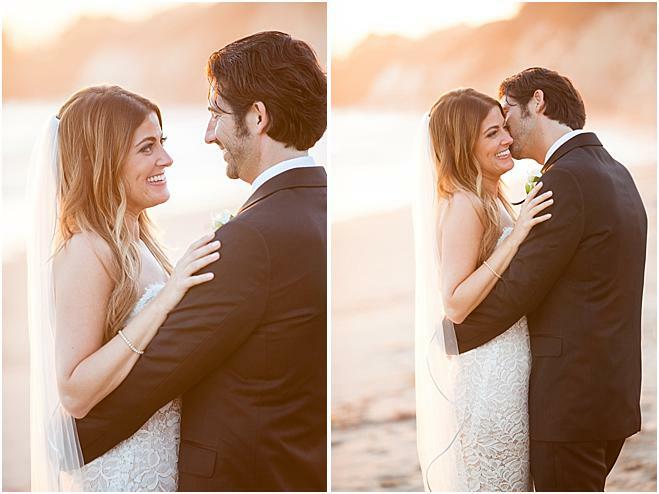 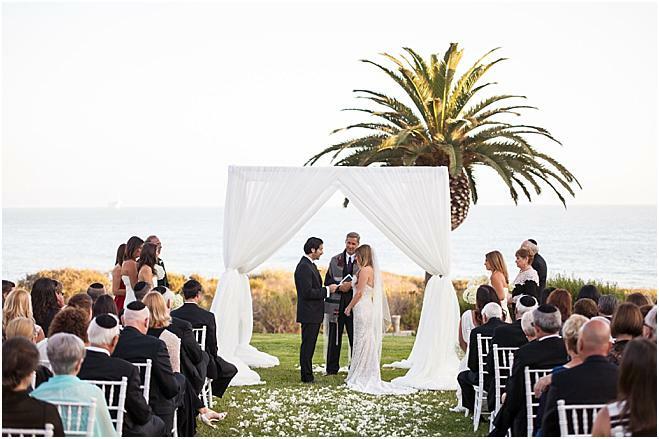 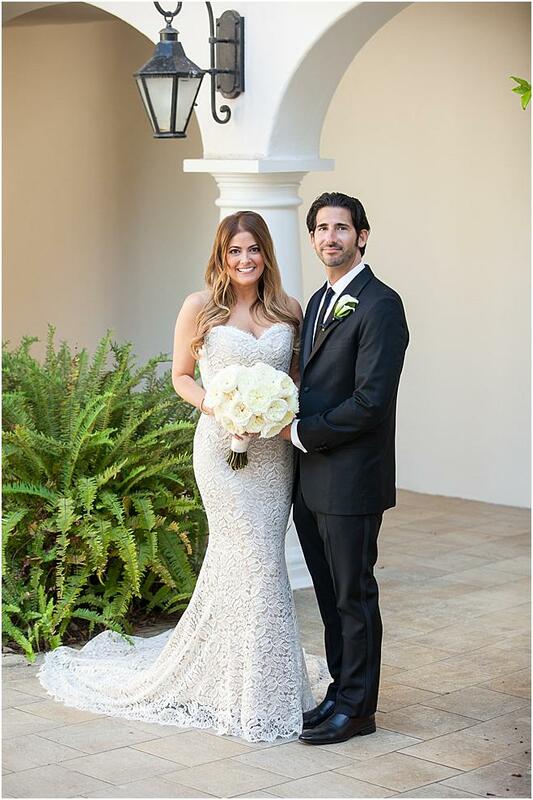 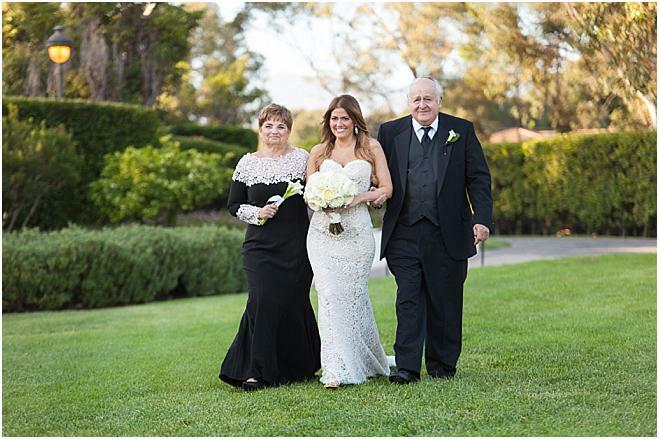 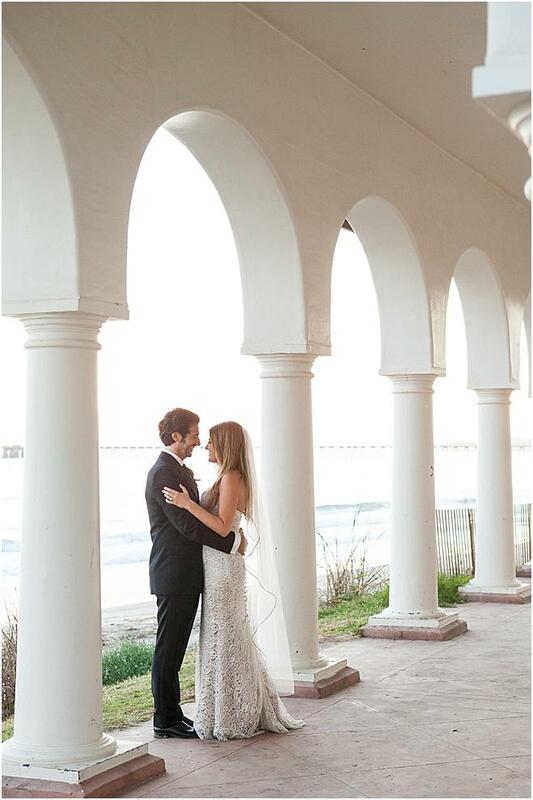 Stacey and Billy exchanged vows in a traditional Jewish ceremony seaside at the Bacara Resort and Spa in Goleta on a perfect summer day. 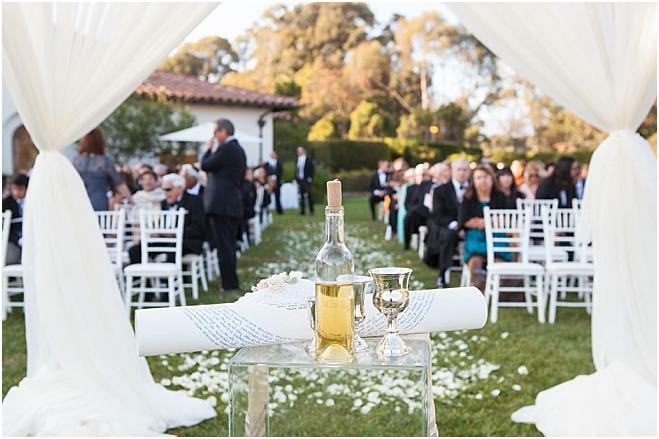 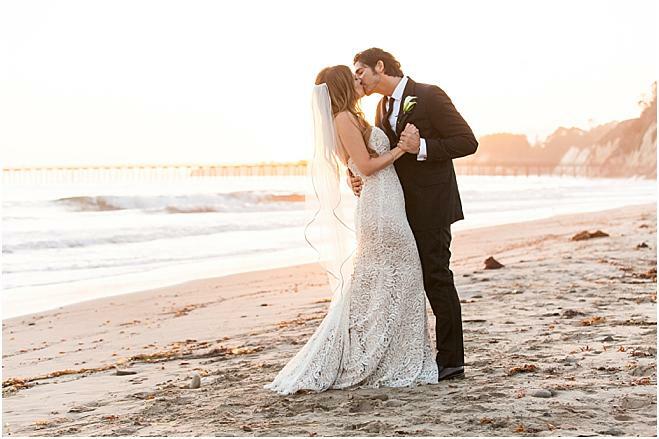 The couple, surrounded by family and friends, opted for a fresh modern wedding. 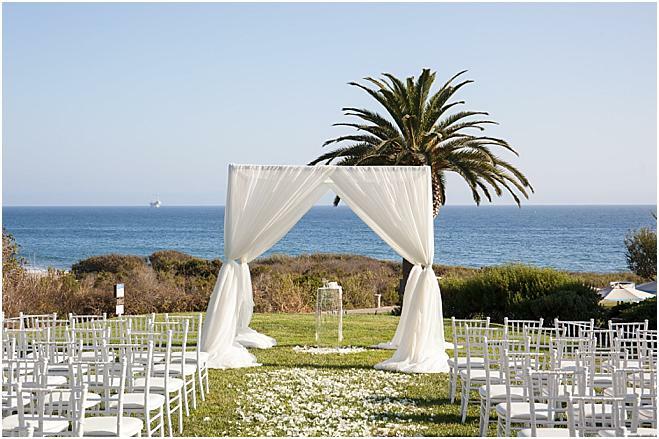 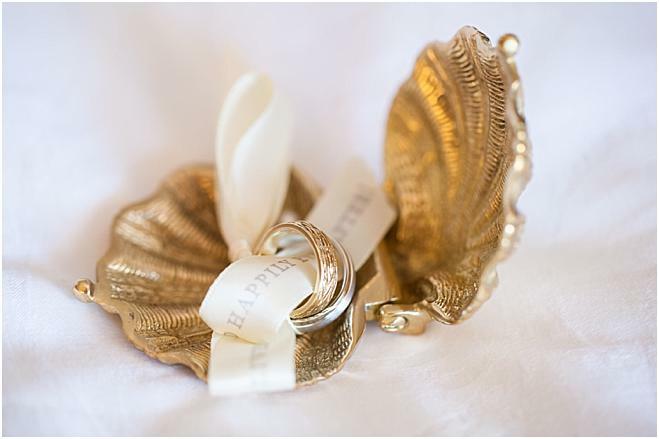 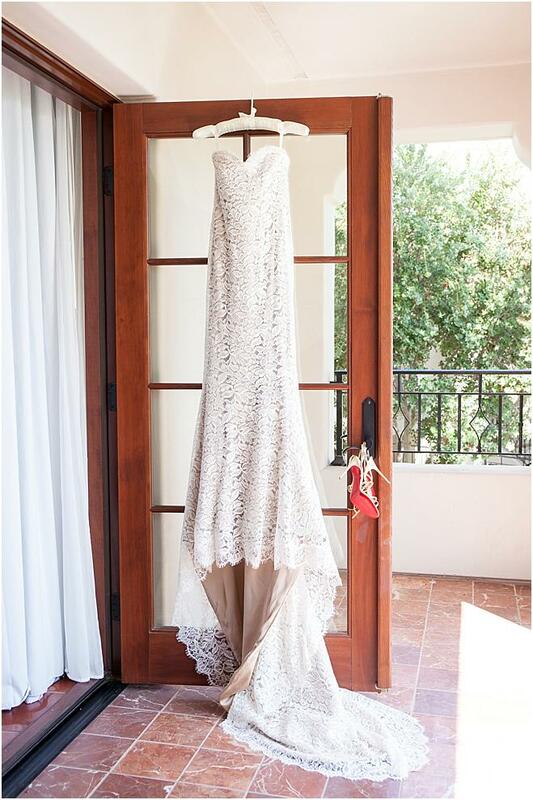 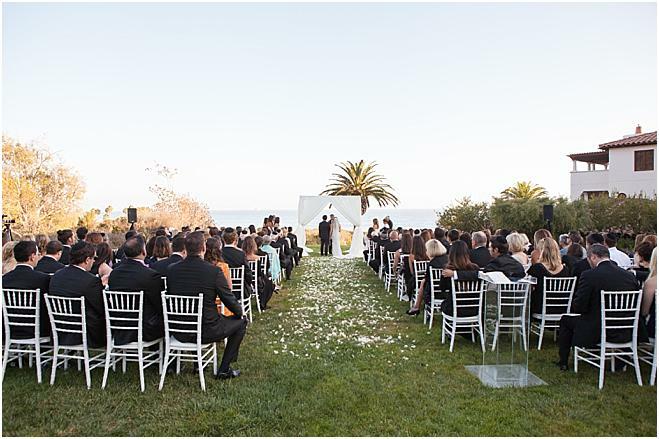 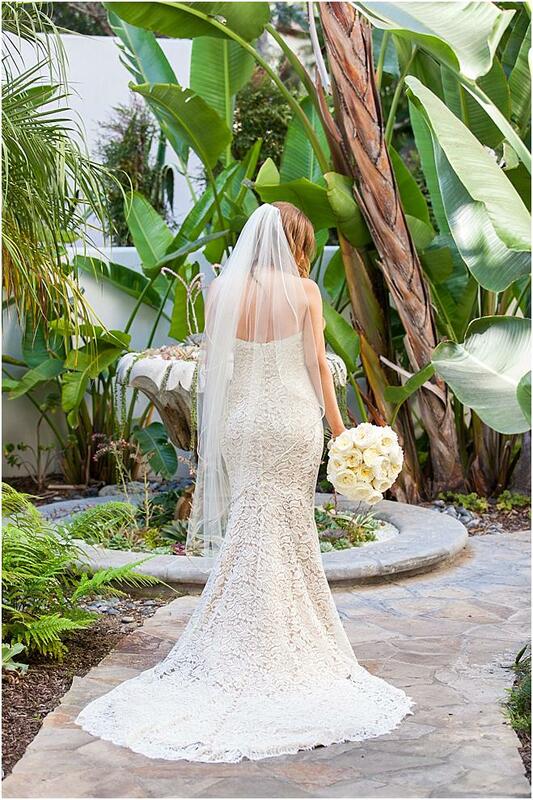 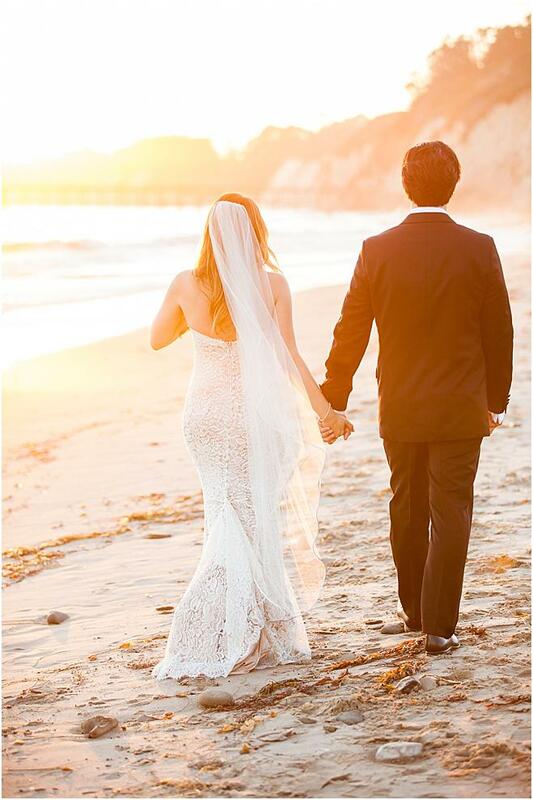 Dainty flower petals lined the aisle to a beautiful beach ceremony accompanied by sweeping ocean views. 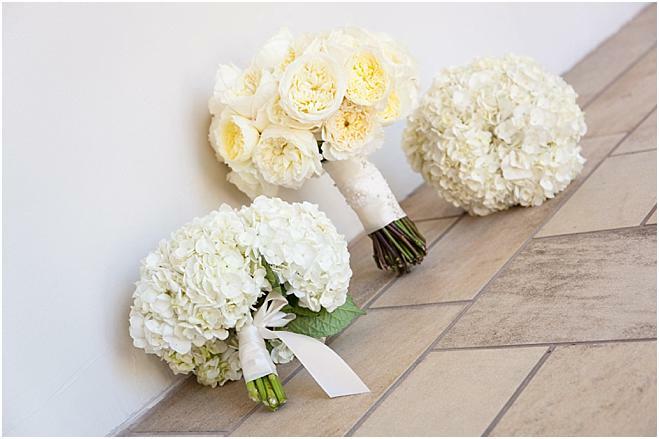 The bridesmaids wore dresses in varying styles of white and carried matching white hydrangea bouquets by NLC Productions. 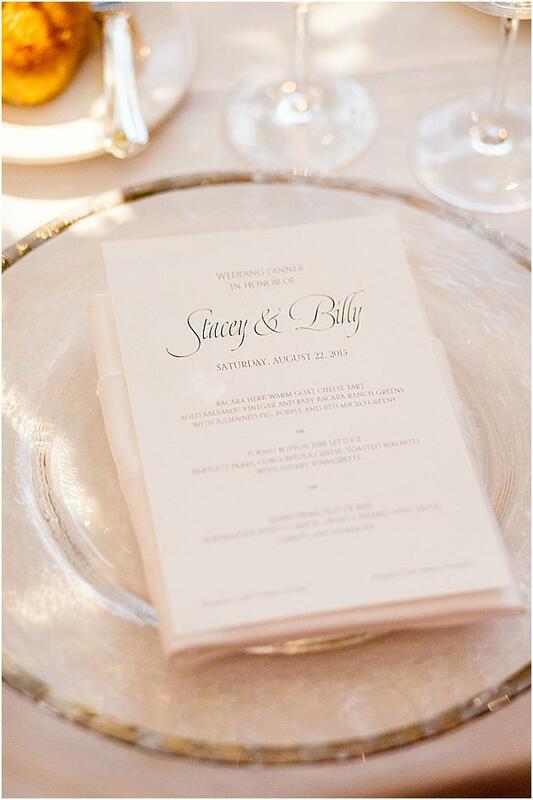 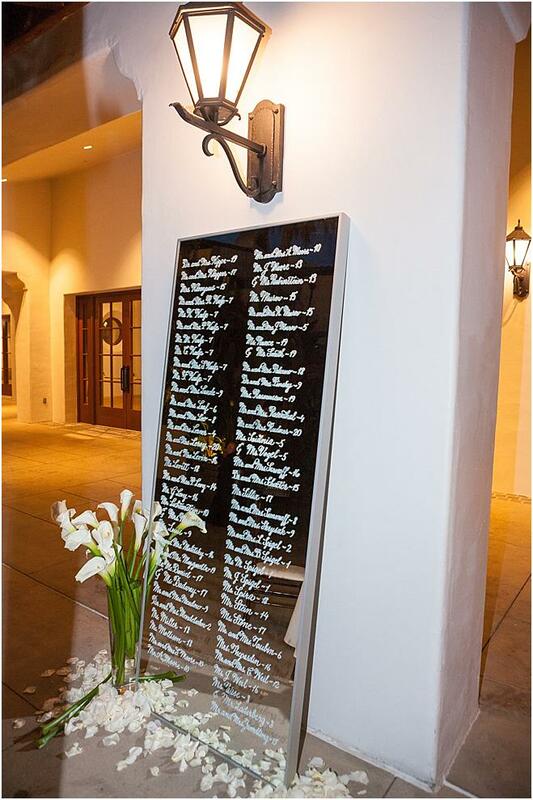 After the outdoor ceremony, guests retreated to a luxurious ballroom where an elegant mirrored frame highlighting white calligraphy by Janice Blair presented each guest's designated table. 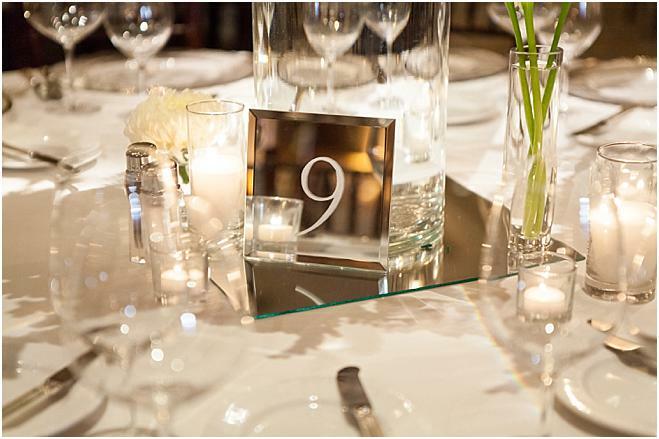 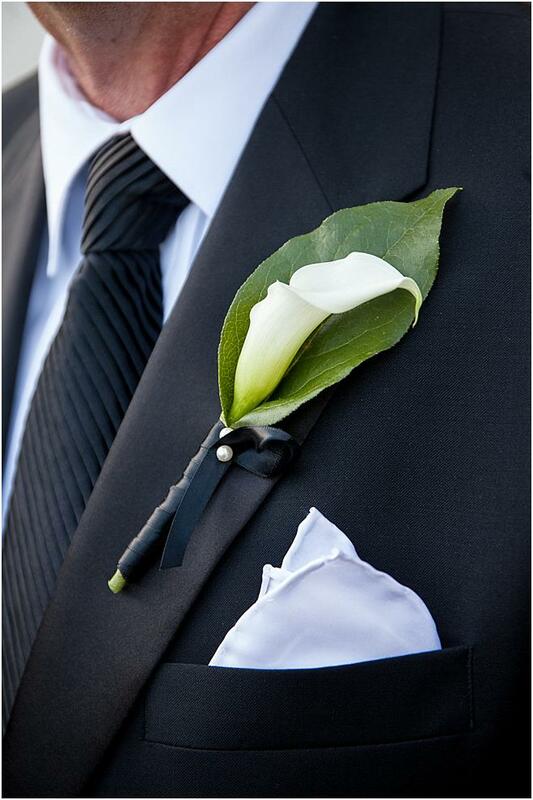 The couple's crisp and clean vision continued with their formal reception. 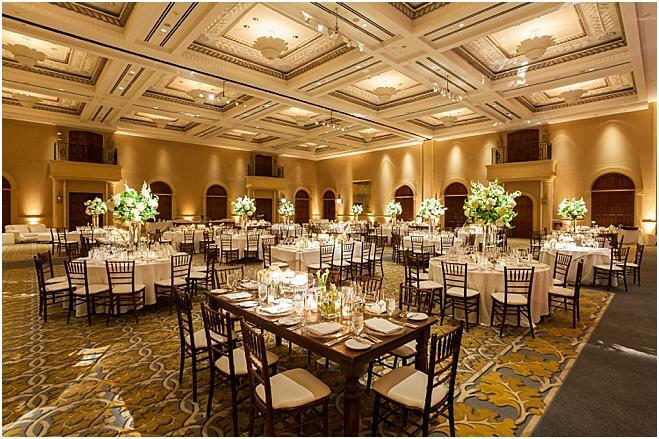 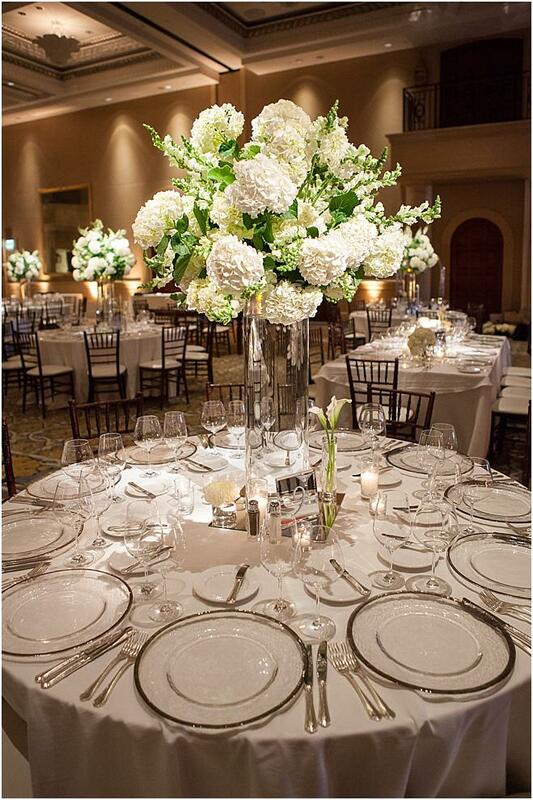 Impressive large-scale white floral arrangements in tall glass vases adorned the grand dining tables. 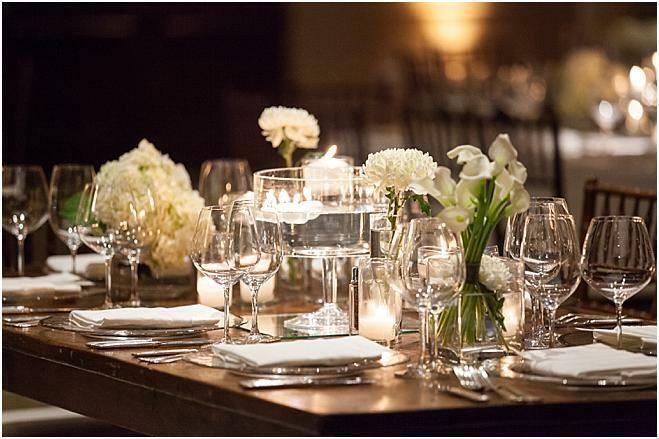 Candlelight danced between the tables' mirrored accents and each setting featured clear glass plates rimmed in silver with the evening's menu showcased on top. 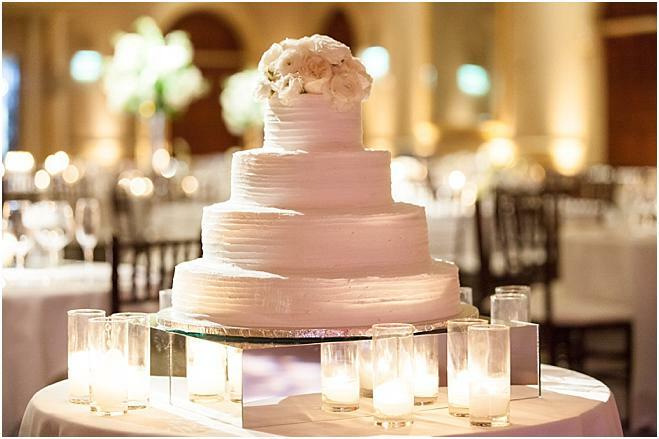 The simple yet stunning four-tiered cake by Your Cake Baker sat elegantly atop a mirrored platform surrounded by white candles, making for a romantic and sophisticated scene. 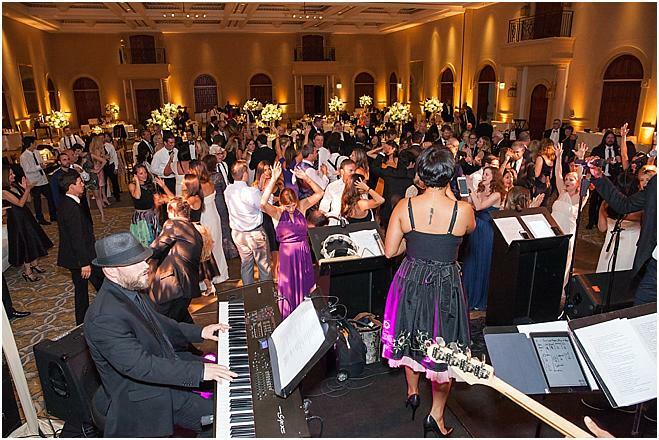 The Golden Coast Allstars provided entertainment at the reception while guests danced and celebrated on the dance floor. 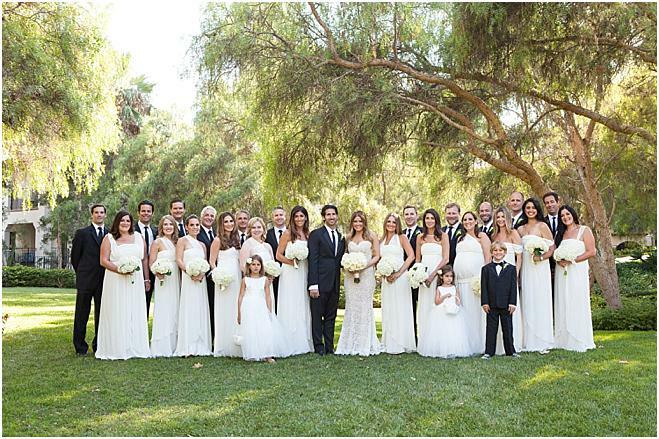 At the conclusion of the big day, the happy couple presented their family and friends with their favorite California treat, In-n-Out Burger.